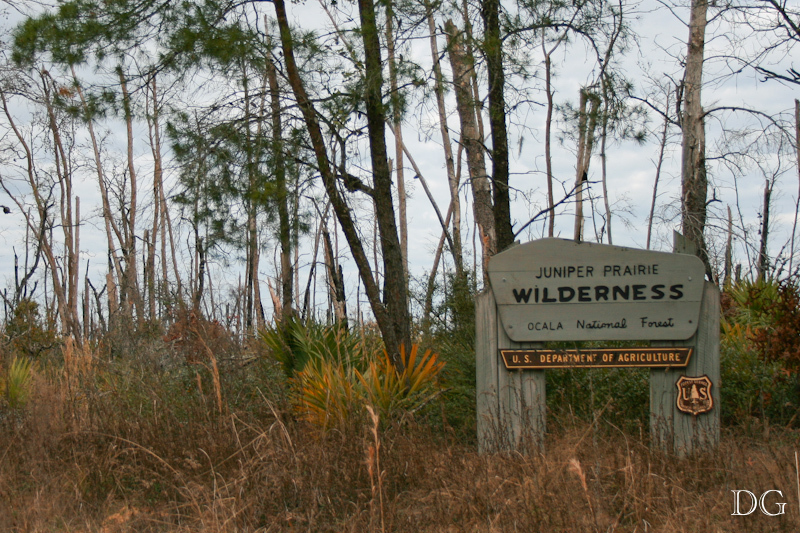 The Ocala National Forest (ONF) is home to the largest remaining tract of sand pine (Pinus clausa) scrub in the world. The United States Forest Service (USFS) is tasked with managing the sand pine scrub of the ONF for multiple uses, including the perpetuation of the ecotype and providing habitat for threatened and endangered species. In late July of 2006, the ONF staff initiated prescribed fire operations within the 5,777 ha. Juniper Prairie Wilderness (JPW) with the intent of burning a number of grassy prairies associated with isolated wetlands. Within several days of prescribed burning operations, the fires escaped initial prescriptions and moved into neighboring sand pine and slash pine stands and were reclassified as a wildfire. In spite of active fire suppression activities, the wildfire continued to burn into August of 2006, ultimately burning approximately 4,500 ha. 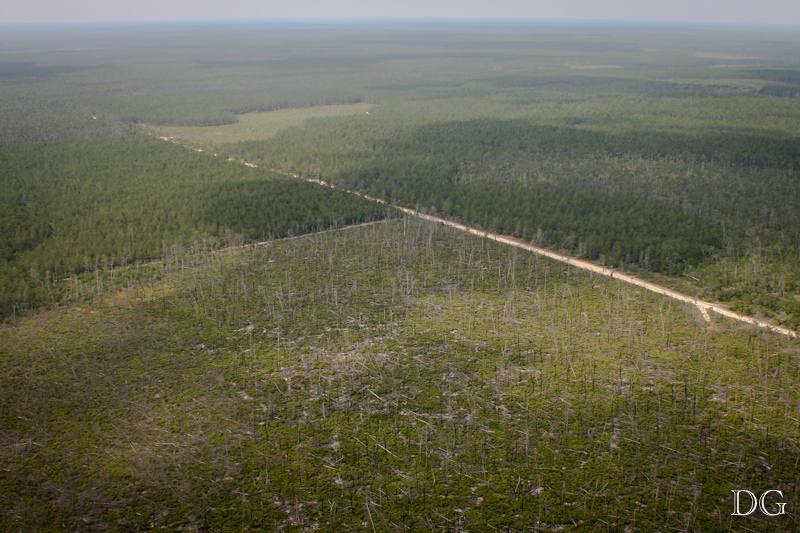 of the JPW, including a portion of nearly all of the vegetative communities represented within the JPW and across multiple sand pine stands. On March 10, 2009, following a period of vegetative regrowth, vegetative fuels changes and drought, an escaped campfire ignited a second wildfire within the JPW that burned over a period of several weeks, despite active fire suppression by the USFS. That fire burned 2600 ha. of the JPW by the time it was extinguished. The unprecedented repeated burning of such large tracts of sand pine scrub, under wilderness area management restrictions, presented a unique opportunity to study burn severity trends and sand pine scrub management among a variety of sand pine scrubstand types. My master’s thesis and work following were concentrated on understanding and quantifying the patterns of burn severity that resulted from these two fires. Freeman, J.E., Kobziar, L.N. 2011. Tracking postfire successional trajectories in a plant community adapted to high-severity fire. Ecological Applications 21:61–74.